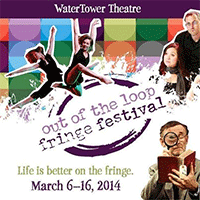 • Take in WaterTower Theatre’s Out of the Loop Fringe Festival a short walk away from the Addison Transit Center. Featuring some of the best acts in theatre, music, dance and art from around the region and the world, OOTL continues to bring all three spaces of the Addison Theatre Centre alive with exciting, contemporary work. Seven world premieres highlight this year’s festival as well as 12 new artists/companies making their Festival debut, plus several returning favorites. Information: www.watertowertheatre.org. • Take the DART Rail Orange Line to Irving Convention Center Station for the DFW Golf Center. Golf activities, merchandise, contests and more is what you’ll find at the show. Golf players and fans of all ages and levels of experience are welcome and will be sure to find lots to enjoy! The show’s Main Stage will be a hub of activity all weekend, featuring free seminars on golf instruction, fitness and more. Admission: Adults $11; Seniors (60+) $9; Kids 12 and under Free. Information: www.dfwgolfshow.com.